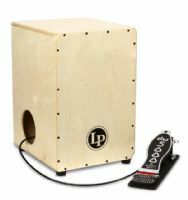 This patented design is the ultimate solution for using a foot pedal when playing cajon. 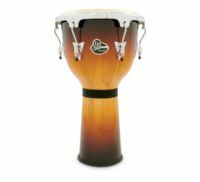 The beater strikes a special bass soundboard from the inside giving you an amazing bass sound and unobstructed playing surface. 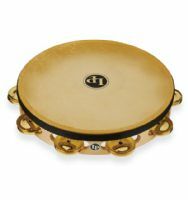 Inspired by the legendary Giovanni Hidalgo, these bells are as unique as “the Master” himself. 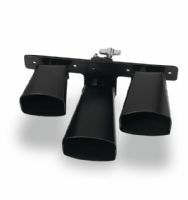 Three individually pitched bells are mounted together for playing melodic rhythms. Long considered the First Family of Latin Jazz, the Escovedo's are a force to be reckoned with. 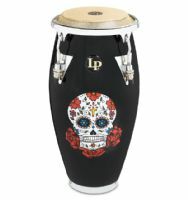 Led by Patriarch Pete - Juan, Peter Michael and Sheila E individually have had legendary careers playing with a who's who of music. 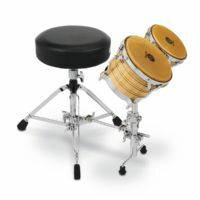 The LP Bongo Stand Throne Attachment features LP's Patented Camlock tensioning system with a heavy duty nylon strap to hold bongos securely in place by the drums’ center block. 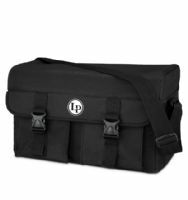 Inspired by Kevin Ricard, LP's Percussion accessory bag allows any percussionist or drummer to easily carry all of their "toys" while keeping them safe and secure.